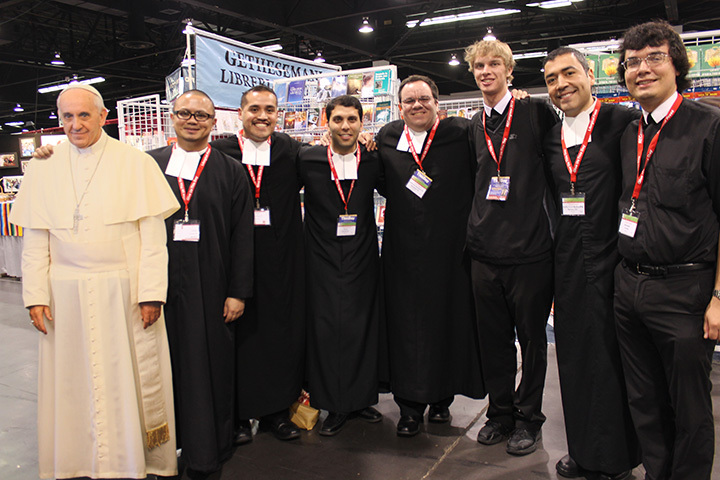 A variety of Lasallians, including Brothers, students, Lasallian Volunteers, alumni and other Lasallian leaders, are gathered in Anaheim, California, participating in the 2015 Los Angeles Religious Education Congress, which is the largest annual gathering of religious educators in the United States. With a theme of See, this year’s event opened March 12 with Youth Day for high school students and will continue with speakers, workshops, entertainment and liturgy for adults and young adults on March 13-15. Kicking off the first day, 45 students from the Vietnamese Lasallian Youth Troupe from San Jose, California, participated by drumming in the opening ceremonies and morning prayer. The Regional Vocation Formation Committee has a booth in the exhibit hall promoting and providing visibility for the De La Salle Christian Brothers’ vocation, Lasallian Education, and the Lasallian Volunteers. Saint Mary’s Press also has a booth, which contributes to the Lasallian presence. Check back next week for more coverage on this year’s LA Congress.